For a relatively small city, Reykjavík is a shopper’s paradise. There is literally something for everyone, charming little street boutiques, beautiful local and international design stores or large shopping malls with a great variety of stores. Laugavegur is one of the oldest shopping streets in Reykjavík and literally translates as "wash road". It used to lead to the great old hot springs and famous wash-spot in Laugardalur – where the entire city’s washing was once done! Whilst this historic component adds a lot to the charm, its popularity with locals and tourists is mainly due to its collection of prestigious shops and exclusive stores that attract countless shoppers and visitors. In the evenings the street’s many bars, clubs and restaurants open up and attract locals and visitors. Over the past few years, Skólavörðustígur has been transforming into one of the most attractive shopping streets in Reykjavik with its charming old houses, stores, galleries and cafes. It runs from the corner of the main shopping streets Laugavegur up to the magnificent church Hallgrímskirkja. We have two large shopping centers in Reykjavik, Kringlan shopping center that is located just east of the city center and Smáralind in the Kópavogur suburb. Kringlan is a hub of social activity with over 150 shops, restaurants and service outlets, including multi-screen cinema, food court and a large supervised play area for children 3-9 years old, and Smáralind is the largest shopping center in the Reykjavik area with a relaxed atmosphere, beautiful architecture, more than 80 shops and the only indoor family entertainment center in Reykjavik. Both shopping malls are filled with sophisticated fashion shops, hip boutiques and international brand name shops. Iceland’s reputation travels ahead of itself when it comes to how expensive things are. And it’s true that Iceland is not a cheap destination, in fact, it’s one of the most expensive countries in the world! But this doesn’t mean you should avoid coming here, it just means that it’s good to know how much things cost before you pack your bags. 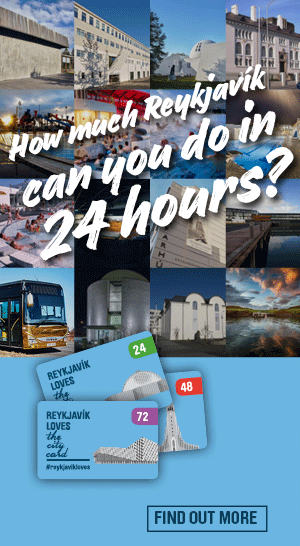 Keep an eye on the costs, but don’t miss out, as Reykjavík is totally worth a visit! We hope that you will enjoy Reykjavik and the great variety of quality stores and activities we have within the city.